(Price per Unit Instead of £14.90. You save £0.74 due to the online discount . 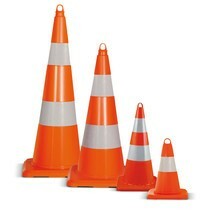 These traffic cones made of polypropylene enable you to easily and safely control traffic. Or block off areas that should not be entered. The rigid and daylight reflecting traffic cones certainly show the way. 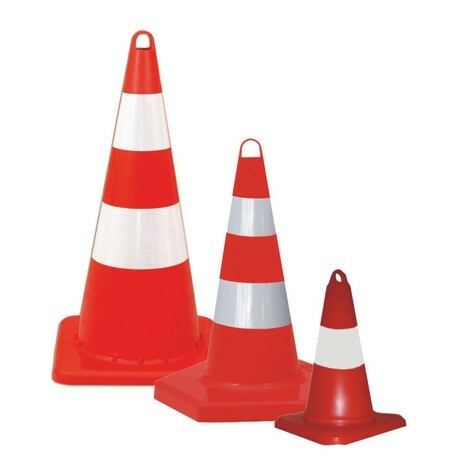 These traffic cones made of polypropylene are ideally suited for the effective and flexible installation of routes and barriers. 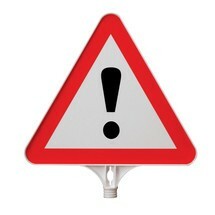 They combine flexible handling with an excellent warning effect and a long service life. 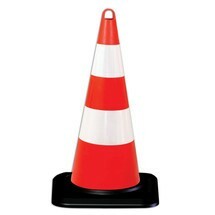 In a clearly visible signal colour, the cones made of polypropylene are easily visible even in the dark, thanks to the reflective stripes. The rigid material is tough and durable. The traffic cones are equipped with a universal eyelet. These allow you to easily attach barrier chains and belts when needed. 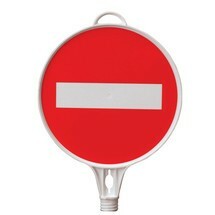 Use the polypropylene traffic cones for a flexible control system at your premises. The cones are only suitable for in-company use. 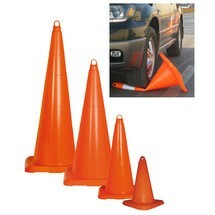 Order these traffic cones made of polypropylene, rigid, daylight reflecting, for regulated road traffic at your premises.